. إن حسن الضيافة والخدمات الراقية التي تعرف بها Waldorf Apartment Group تغني تجربتك في Waldorf Sydney Central Serviced Apartments. إن تسجيل وصول/خروج سريع, تخزين الأمتعة, واي فاي في المناطق العامة, صف السيارات, غرفة عائلية هي جزء فقط من الخدمات التي تميز Waldorf Sydney Central Serviced Apartments عن باقي الفنادق في المدينة. استمتع بوسائل الراحة الراقية في الغرف أثناء إقامتك هنا. بعض الغرف تتضمن تلفزيون بشاشة مسطحة, اتصال لاسلكي بشبكة الإنترنت (مجاني), غرف لغير المدخنين, مكيف هواء, تدفئة لمساعدتك على استعادة طاقتك بعد يوم طويل. صممت خدمات الاستجمام في الفندق والتي تتضمن مركز للياقة البدنية, ساونا, مسار جولف - ضمن 3 كم, حمام سباحة خارجي, سبا لمساعدتك على الاسترخاء والراحة. إن Waldorf Sydney Central Serviced Apartments هو خيار ذكي بالنسبة للمسافرين إلى سيدني، بما يوفره من إقامة هادئة ومرحة. يرجى العلم أن النزلاء الذين يصلون بعد الساعة 07:00 PM يجب عليهم إبلاغ الفندق قبل الوصول. يمكن إيجاد تفاصيل الاتصال في تأكيد الحجز. يتاح انتظار السيارات في الموقع، يرجى التوضيح في الحجز إذا كنت تحتاج إلى مكان انتظار. Second time staying at this hotel because of the Free Parking and it’s a fully equipped apartment. Everything was the same but felt like the property a bit dated and renovation needed. Anyhow, we have a pleasant stayed, would also recommended to those traveling with younger children or elderly. We were staying last two years, stay here again because the cleanliness and free Parking and it is a great place for family travelling with older and younger. Although is a bit dated but the facilities is really good with kitchen and utensil, fridge, swimming pool, sauna, washing machine, dryer, dish cleaner and so on. We have pleasant stayed at Waldorf. Highly recommended to everyone. Location was very convenient, room was clean, spacious and comfortable. Although we did not use the kitchenette, washing machine or free parking, we shall take advantage of these features for future bookings. Shampoo, conditioner and laundry powder were all provided but somehow body wash or soap were missed by the cleaning staff. Otherwise a lovely place to stay. A good service apartment which is near to Paddy's and Central Station. Rooms are big and clean but the only draw back is it doesn't perform daily room cleaning. The room price do come with a single car park lot. About 10 mins walk to paddy's market and surrounding eateries. Free parking is a great bonus. Well equipped kitchen with stove, oven, microwave, steamer, toaster; as well as washing machine, dryer, ironing board and iron! 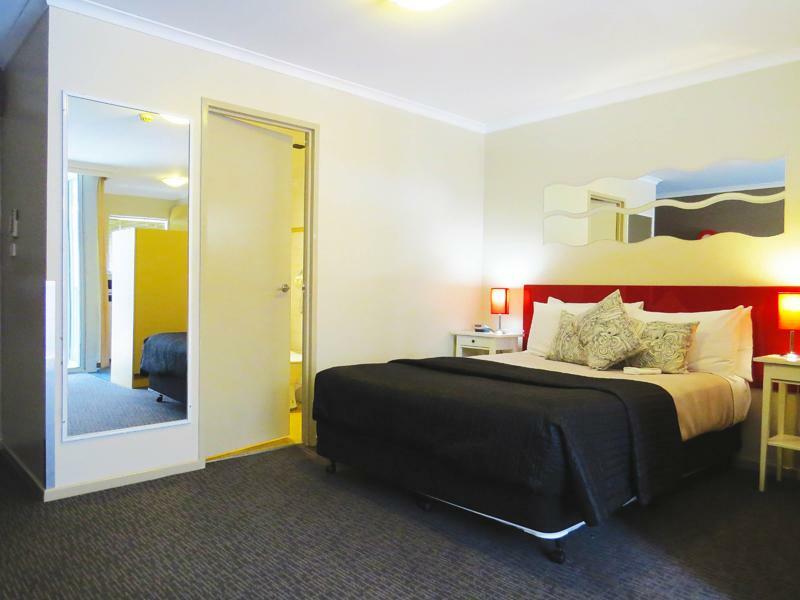 Minus- no daily room service; light servicing once every 2 days- clear rubbish bins, change towels and replenish bath supplies. Room furniture abit dated and carpet somewhat smelly in the living room. Great value for money. Everything is complete, from toiletries and laundry to kitchenwares (save for the dryer in my room that failed to tumble). 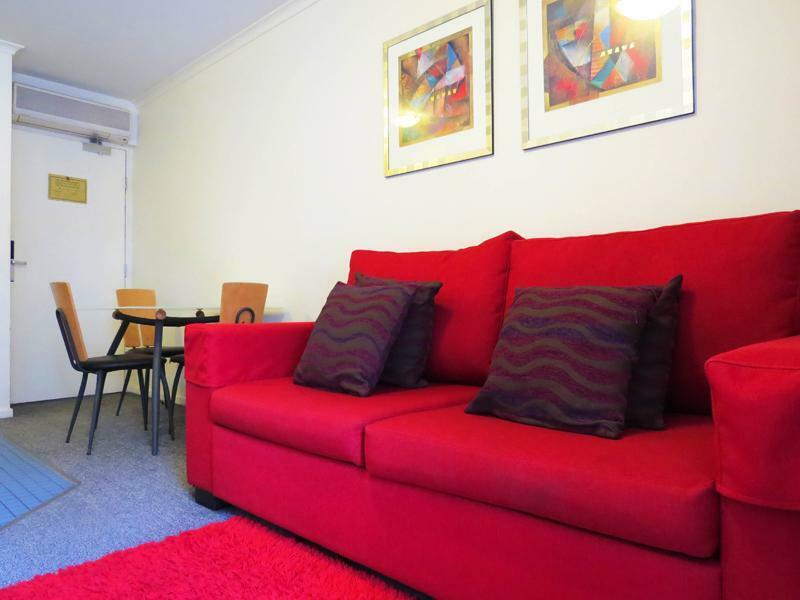 Room is spacious and location is great (walking distance to Redfern and Central stations). I would highly recommend this to travelers looking for great value in the city whether you're solo or traveling with group/family. Friendly staff, fairly central, clean. Had a late check-in as we were returning form overseas. The hotel doesn't have staff on the desk late but organized access to our key which was great.The staff were very friendly and helpful. Well set up apartments that are clean and have a comfortable bed. Central station is in walking distance (about an easy 20 mins to Darling Harbour) to central Sydney. New shopping center, hotels and restaurants about 10 mins walk so very handy. Would stay here again as it is good value for money. Nothing about this hotel was what was advertised. It wad booked for myself, my daughter and her friend for my daughter's 16th birthday present. We were at the hotel for 10mins when i called my brother in tears and he came and got us. So not only did i loose my money as it was non refundable (wonder why) it took me a long time to save to try and give my daughter a birthday she wouldnt forget (she wont forget this one). Was and still am appalled that this hotel is on ANY booking site. The place was a bit old but all amenities are complete and working properly. Great value for money. The one bedroom apartment we rented was very spacious as it has a big living room and complete kitchen with a big refrigerator. Location was good enough. It was a in between Redfern and Central Station. Walk from Redfern is a bit faster but it could get a little scary when walking at night from Redfern to the apartment because it’s very quiet and no people along the streets. We didn’t mind it much as we were a big group. But if you have a car it’s definitely not a problem. Also leaking air con soaked carpet where sofa bed is . Had to turn off air con. No fans in rooms. Very hot & no screens on doors. So no air at but got when sleeping. ALSO- I shd have recd a text message that. If arriving after 5pm need to contact head office to get a room key AS there was no entrance to property & no one at reception. In brilliant location for walking into the city and exploring the many attractions. We had a carrier for our toddler but a pram/pushchair would be suitable for nearly all routes. Apartment basic but had big fridge, washer and dryer, basic crockery, good large bed and bedding. A bit small to spend much time in but good for a small family to have breakfast and head out for the day. Pool was nice too but weather wasn’t in our corner to use too often. You have to pay extra for a cot or travel bed; wasn’t made clear on the website so we just used sofa cushions on the floor. Free parking space useful and easy to get out of the cbd from there too. No complaints. I mentioned that late check-in was required but nobody gave me any information to obtain the room key despite I sent 2 emails two days and one day earlier. Eventually I had to call the hotline for help right in front of the entrance (6:30pm). Besides, the room was blacked out due to electricity failure when we entered the room. It took us more than half an hour to fix the issue. The room is large but it is far away from bus or railway station. A car park is available free-of-charge but we were not driving. I liked the location of this hotel as it was an area of Sydney we had not stayed in before. It was on a direct route from the airport and therefore the cost of a taxi was very reasonable and the same as the cost of a train from the airport. It is a bit tired looking but it was very clean and the bed very comfortable which are our only requirements really. The full kitchen was a bonus but we did not use it much as we found the local pubs provided very reasonably priced meals. We made The Chippo our local with their $12 steak night an added bonus and there are others similar in the area. The New Britannia does a great pizza. The staff member we encountered on first arrival advised us on this and more, that was a big help, to have that input right at the start and she also provided us with a map and highlighted our nearest facifilities. A handy supermarker, 5 mins walk away at Central Park do great meals. Also so close to the Central Station and the buses and the bus to Bondi was virtually outside the door. Also having a doggie daycare over the road from our unit provided us with entertainment each morning as we had our breakfast..
Only about 4 mins walk from Redfern Station & not much more from George St and Spice Alley. Fantastic bed and all of the amenities that you would expect at home. The suite was spacious while the tiles are are getting tired in the bathroom a lot of the other fixtures were new or near new. Would we stay here again? In a heartbeat. Looking out onto Dale Lane a street full of privately occupied early 1900's apartments that present a real neighbourhood. The staff were fantastic and great to deal with, helping out without hesitation when the need arose and offering what ever advice they could. Loads of foxtel channels, washing machine, dryer, full kitchen and dishwasher. A bit of street noise but you're in a city that doesn't sleep and as soon as you close the balcony door it's gone. It's not enough to cause concern when you are outside. 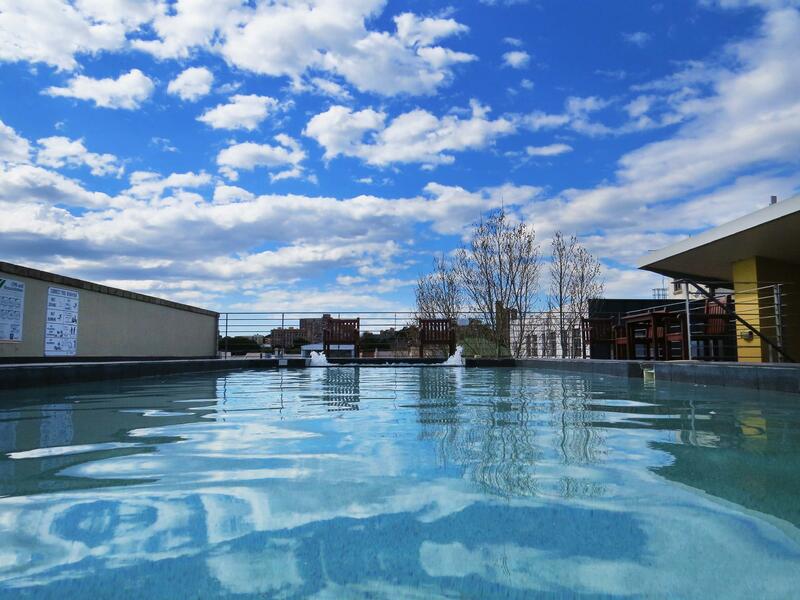 All in all exceptional value for money to stay in a spacious air conditioned very secure apartment that really is your own as long as you are there. 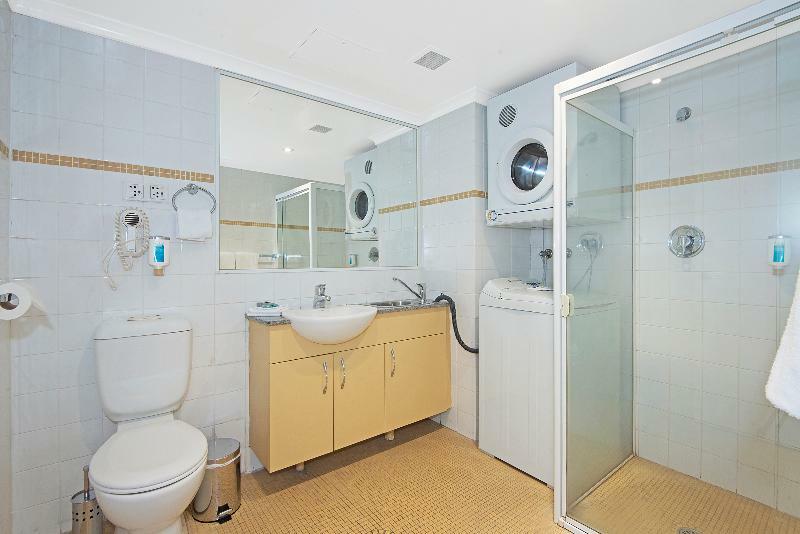 The location is near central station and also redfern station. Easy to travel. Walking distance to broadway shopping centre too. Only that around the area is hard to get food. But no worries bought my groceries and did cooking in the apartment. Our stay is nice. The unit is clean and complete of appliances we need such as Washing machine, dryer, TV, fridge, etc. However, the location is a bit far from train stations (Central and Redfern). All in all, we have good stay in this apartment.